Did you know that a dissatisfied customer will tell between 9 and 15 people about their negative experience? This is catastrophic for business. Word of mouth, reviews, and your reputation can virtually make or break your business. This is just one reason why your customer service needs to be on point and impeccable. If you’re currently struggling with pleasing customers, check out 5 creative ways to bump up you customer service game and leave customers with a smile. Great customer service starts with your employees. After all, they’re in the forefront of your business. They’re often the ones directly interacting with customers. If they aren’t trained properly, one misstep or mishandling of a situation can change the customer’s perception of your business. This leads to lost sales and those negative reviews mentioned earlier. The only way to prevent these potential business bombshells is by properly training staff in the key elements of customer service. Here are just a few areas where your staff should be trained. Employees should know how to speak to customers effectively and with the right tone of voice. This takes patience, compassion, and honed communication skills. The old adage “the customer is always right”, although inaccurate at times, is one that most employees should live by. There are many times when an employee must swallow their pride, bite their tongue, and simply do whatever it is the customer needs and wants. Of course, there are boundaries in terms of pleasing the customer but in most cases, your job is make them happy. This also means being resilient. Not all customers will react with the same compassion, respect, and calmness that you expect employees to show. Employees need to have tough skin in terms of customer reactions that are sometimes unpleasant. And above all else, your staff should be knowledgeable about your product or service. This ensures that customers get what they need, when they need it. A misinformed customer is almost as bad as a dissatisfied one. 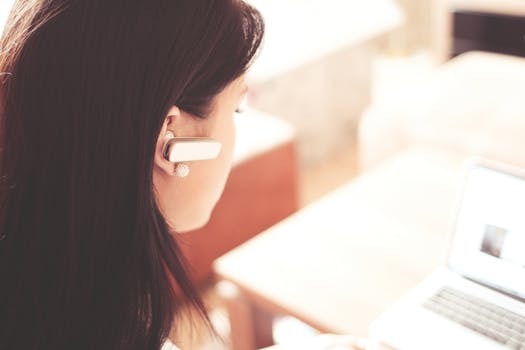 All too often business owners believe that when a customer either leaves the store, hangs up the phone, or makes their purchase, that the relationship ends. This is far from the truth. Your customer service needs to be consistent before, during, and after a customer interacts with your company or brand. These are known as touchpoints. When it comes to creating a positive customer experience prior to initial contact, it has a lot to do with marketing, reviews, your social media presence, word of mouth, and community involvement. Did you know that 90% of customers read online reviews before ever visiting a business? That means that you need to make a good first impression before you even come in contact with potential customers. Now that you’ve laid the groundwork, you can focus on the physical interaction between you and the customer. There are certain touchpoints that will greatly enhance the customer experience. These include, but aren’t limited to, an efficient POS system, well-designed website, widely distributed catalog, the layout and design of your office or workspace, and your phone system. All of these factors paired with proper staff training will ensure a positive customer experience. And hopefully one they’ll tell their friends about. But your work isn’t done here. After the customer leaves your store, makes a purchase, or hangs up the phone, you still need to maintain a positive relationship. This is achieved in a variety of ways including an efficient and accurate billing system, help centers, follow-up emails and calls, thank you cards, and support tools. The customer needs to know that your company is available and willing to help long after the sale is made. Another pitfall of many businesses is adopting the belief that you know everything. You need to be open minded as a business owner and this means accepting help from outside sources. Bring in fellow professionals with knowledge about improving customer interactions or communicating efficiently. If you or your staff need training in a new computer system, software update, or marketing campaign, allow experts in the field to help teach you everything you need to know. You can also read more now about the benefits of outsourcing your customer service needs. Tap into the resources of other professionals in your field or even from your competition. What are they doing right that you feel your company could do better? Asking questions like this is the perfect starting point for creating positive change and growth. One of the best ways to improve customer service is to go right to the source. Survey customers and get feedback about their experiences. If nothing else, customers have no problem being brutally honest about their experience both in and out of your store. Ask questions that require in-depth answers. What was the best and worst part about their experience and why? Ask customers what they’d like to see done differently and which positive aspects they’d like to see more of. Depending on the size of your business, you may never have the opportunity to come in contact with customers. So the only way for you to truly know if your employees are carrying out your mission statement and honoring your company values, is to ask the customers directly. Try using follow-up emails that contain a questionnaire, surveys at the end of phone calls or sales windows online, and even a suggestion box located in your storefront. You can also ask your employees where they think customer service is lacking and where improvements can be made. And, most importantly, don’t neglect to internalize and apply these suggestions to your daily practice. Once you’ve collected the information about how your customer service currently ranks, it’s time to start making some changes. This means revamping your current strategy. Try making your customers feel a part of the business process. Try offering webinars, community forums, or even community events where customers can get together and interact. For valued, return customers, create special offers or VIP programs. By taking special interest in these customers, you’re showing your appreciation for their continued business. They may just offer you your next great idea. Another way to keep the lines of communication open with your customers is to be personable, approachable, and available. Make sure that your website, business cards, and offices clearly display your contact information and business hours. But even more importantly, be available when customers reach out. Be sure to return phone calls, answer emails, and make customers feel like their needs are met and valued. Without impeccable customer service, your business is virtually dead in the water. You can have the most well-laid plan, expensive marketing campaign, and professionally designed logo, but without a solid customer base, your success will be short lived. By investing in these customer service strategies, you’re investing in the future of your business.